When it comes to seeking the ultimate tropical escape, Langkawi, Malaysia, is by far the closest to it. With no shortage of picturesque islands, surreal bays and breathtaking beaches, this magnificent country is one for everyone’s bucket list! 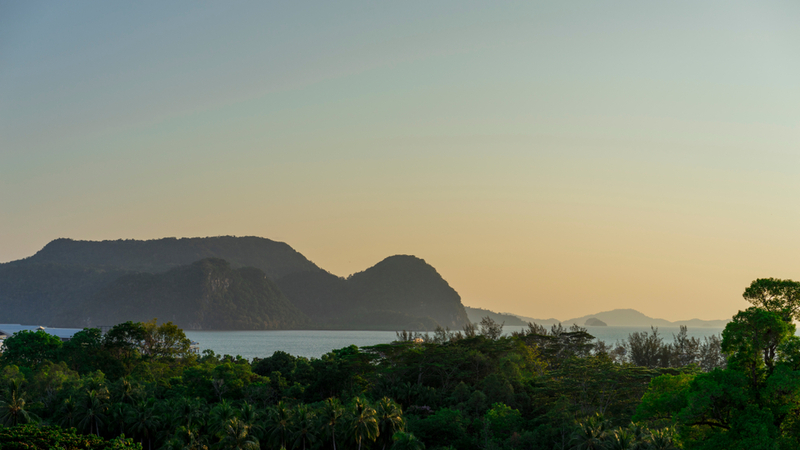 As an island, Langkawi is full of hidden treasures that are bound to make an epic holiday escape. With breathtaking waterfalls, landscapes and adventure packed activities, this premium getaway is full of exciting opportunities. Here, at Paradise 101, we’ve gathered together 10 of the best reasons you need to visit Langkawi. See below. With an array of tantalising restaurants and cuisines to choose from, Langkawi is no stranger to all the weird and wonderful foods that Malaysia has to offer. From fresh crab, lobster and squid to barbecue fish and grilled marinated chicken, the locals of Langkawi pride themselves on their unique cuisine. With influences from Indian and Chinese to Malaysian and Thai, this island is a paradise for gastronomes. With numerous beaches scattered around the island of Langkawi, you are spoilt for choice! Surrounded by crystal velvet blue sea and white sands, there is no shortage of places to submerge yourself in this tropical wonderland. One of the most beautiful beaches you will find is Pantai Cenang, a popular choice amongst locals and tourists. However, the island is also full of more secluded spots such as Tanjung Rhu’s exclusive beach or Pantai Tengah. Whatever you choose, these breathtakingly beautiful beaches are the perfect solution for those looking for the ultimate tranquility. Take a look at our guide to the best beaches in Langkawi. Along with its beaches, Langkawi is also home to some of the most beautiful landscapes in Malaysia. The natural attractions range from its luscious rainforests to its floral mangroves. Pulau Dayang Bunting is one of many spots where you can witness Langkawi’s natural splendours including mountainous landscapes and spectacular waterfalls. Langkawi’s Geo Park is also a must see thanks to its enchanting forests, caves, tunnels, waterfalls and wildlife. Langkawi is home to an abundance of extraordinary wildlife including 200 bird species and an assortment of monkeys. In their famous wildlife park, you will find over 150 different species of animals and birds from all over the world including South East Asia, Africa, South America, Australia, Russia and Malaysia. Some of these animals include racket-tailed drongos, mudskippers, monitor lizards, Dusky Leaf Monkey and fish eagles. Regardless of where you are on the island, you are bound to set your sights onto some of Malaysia’s best known wildlife. When it comes to finding things to do in Langkawi, you will not be disappointed! The island has an extensive range of activities to choose from. Whether you;re looking for a day tips, a sightseeing tour or a relaxing spa, there is something for everyone! One of Langkawi’s most famous attractions is The Langkawi Cable Car. Situated at Oriental Village this exciting trip delivers a chance to witness an the views from Gunung Machinchang, which is also the location of the Langkawi Sky Bridge. Visitors will be able to catch a glimpse of the mountain peaks, bay islets, and waterfalls as they travel up to a total of 708 metres. Langkawi is part of Malaysia’s best loved archipelago, made up of a total of 104 islands in the Andaman Sea. Because of this, the island is the perfect location for those wishing to embark on a spot of island hopping. With surrounding islands full of tropical rainforests and mesmerising clifftops, this is one day trip not to be missed. Across the island, you will find plenty of organised island-hopping tours to choose from. However, we recommend checking out Tasik Dayang Bunting, which is home to Langkawi’s largest lake. Here, you can relax and enjoy the beauty of the islands whilst delightfully snorkelling around the bays of the Indian Ocean. If, like us, you’re a bit of an adrenaline junkie then not to worry! Langkawi is full of water sport activities and thrill seeking adventures. 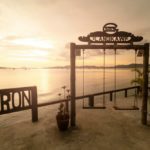 Whilst the island has the feeling of a remote, exotic paradise, it is also home to popular tourist practices such as jet skiing, banana boating, kayaking, canoeing and parasailing. If exploring the underwater paradise is more your thing, then there are plenty of places to snorkel and dive instead. Here, you will be able to indulge in the sights of the spectacular Andaman coral and swim though the famous mystical caves. Wherever you go in Langkawi, it’s hard to escape the rich Malaysian culture that is sewed into the islands cultural landscape. There are plenty of opportunities to experience a guided tour of the island where you will be able to explore traditional Malay houses and places of worship. As well as this, they also offer the chance to gain some local inside knowledge to the local plants and herbs on the island and their medical values. 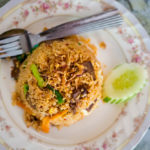 Alternatively, many local restaurants offer entertainment nights where you will be able to enjoy the delights of Langkawi’s cuisine whilst watching upon some local dancers and entertainers. The 3D Museum of Art is also very popular amongst tourists and art lovers. Here, it allows you to capture a unique illusion of images that will almost certainly blow your mind. Langkawi Night Market is the perfect place for those wishing to include themselves in the islands most traditional practices. Here, you will be able to taste some of the most authentic and affordable food on the island including malay sweets and street dishes. The atmosphere of these markets is unlike anything else on the island accompanied with local music and drinks, the sizzling smells and aromas of the market is truly unmissable. Local vendors also offer it as a chance to sell arts and craft, textiles and trinkets, perfect for souvenirs! Finally, it must be said that Langkawi is one of the most beautifully, breathtaking islands in Malaysia, if not the world. With something for everyone, this magnificent island is the perfect holiday or travelling destination for both families, couples and budding adventurists. Enriched in some of the finest culture, food and landscapes, this is one paradise not to miss. If you want to know more about Langkawi, visit our blog or contact us today to find out how we can help create the holiday of your dreams.